Marianna is a graduate from the Canadian School of Natural Nutrition. She firmly believes that anybody can take control over his/her wellness by introducing healthy lifestyle and dietary modifications. Prior to her interest in natural nutrition, she worked in the field of Molecular Biology. She earned her Master of Science degree in Biochemistry from Queen’s University in Kingston. Her interest in holistic nutrition developed while looking for the causes of her son’s health problems. His symptoms indicated he had suffered from exercise induced asthma, however they gradually subsided after modifying his diet and removing the offending foods he was sensitive to. 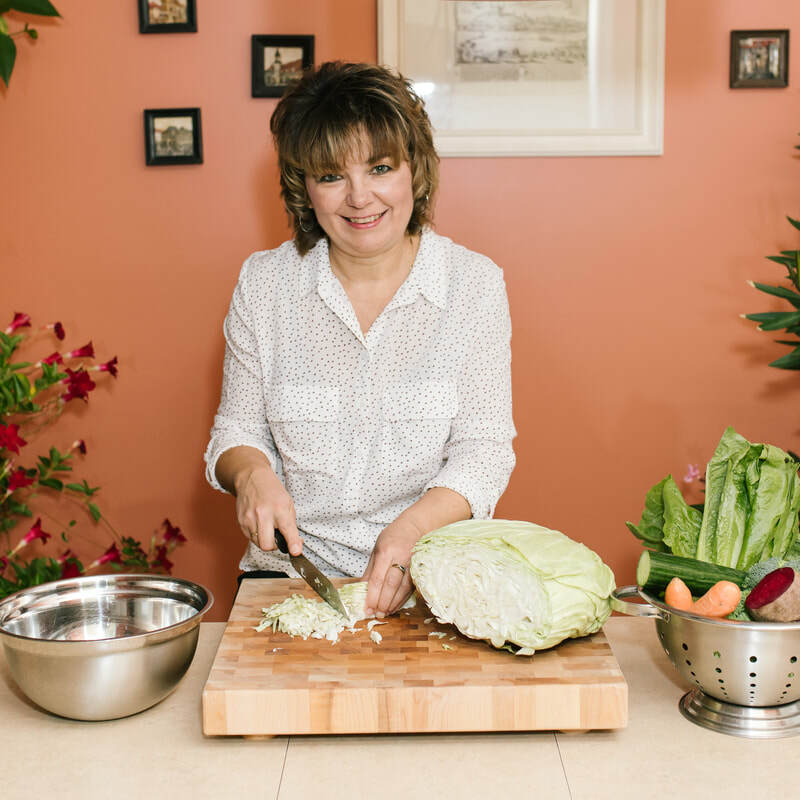 Encouraged by restoring the balance in her son’s body and the positive changes she achieved in her family’s and friends’ overall well-being, Marianna decided to study holistic nutrition and educate other people to take responsibility for their own health. She graduated from the Canadian School of Natural Nutrition in 2012. In addition, she had been trained in the GAPS Nutritional Program by Dr. Natasha Campbell-McBride and became a certified GAPS practitioner. Marianna is passionate about the holistic lifestyle. She often shops at the local farmers’ market and prepares meals for her family from scratch. She also likes to visit local farms where she looks for good quality, fresh, possibly organic products. Marianna offers nutritional consultations for individuals and families who are looking for advice in this field.